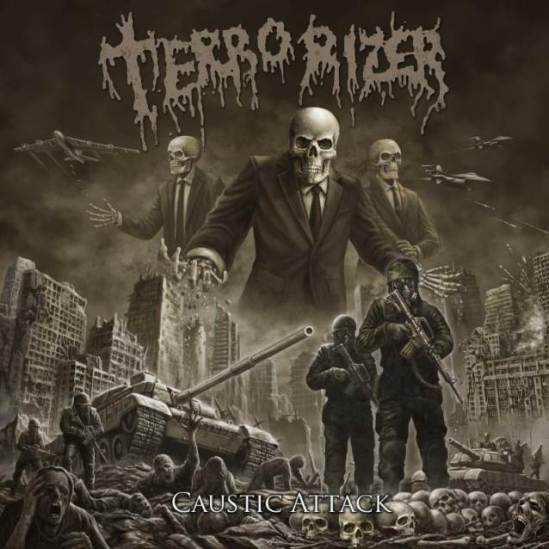 Grindcore pioneers Terrorizer have just released a new single – Invasion! After 6 long years, the band is back on track! New album, Caustic Terror will be released on October 12th via The End Records. From what we can hear, the new album will definetely put a big shadow over their previous release, Hordes of Zombies. Caustic Terror’s apocalyptic album cover and new single promise a lot! I guess that every grindcore fan is looking forward to this release!